A former psychologist for TV show Big Brother was sacked unfairly by the University of Manchester, an employment tribunal has ruled. Professor Geoff Beattie was sacked for not disclosing the full extent of his media and broadcasting work. But the tribunal said although Prof Beattie had "breached" university policies, it was unfair to sack him for his first disciplinary offence. A future hearing will decided the remedy for his dismissal. During his time as professor of psychology at the University between 1994 and 2012, Prof Beattie had a high media profile as a commentator and academic. 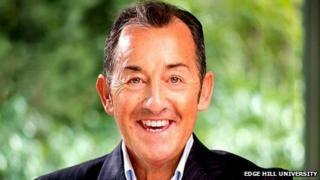 He acted as the "resident psychologist" throughout ten series of the Channel Four show Big Brother. The tribunal heard the University encouraged outside work from academic staff and used Prof Beattie's media profile as a way to attract potential students. However he was disciplined in 2012 for "failing to disclose the full extent of his outside work, with some going beyond broadcasting related activities and into private consultancy". It was alleged he had failed to account to the university for the resources he had used during this work, particularly the time spent by his research assistants. He was sacked for gross misconduct in November 2012 as a result. The panel said: "Whilst it was reasonable to conclude that his actions had been in breach of the relevant policies, it was unfair to dismiss him for what was a first disciplinary offence. "He had not acted dishonestly or deliberately breached the policies, and his long service and excellent record with the university should have been given greater weight." The University said it would be "considering its position in due course".